A traditional barn newly renovated into a hotel. 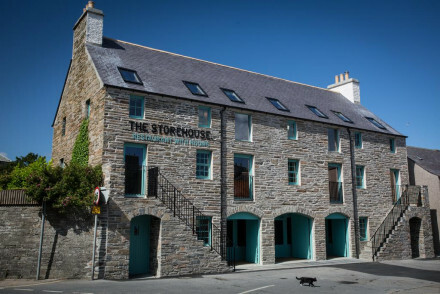 The Storehouse keeps much of its original woodwork and stone arches. The cosy rooms have individual contemporary styles but all feature low beamed ceilings and wooden flooring. The innovative kitchen serves local produce. A charming stay. 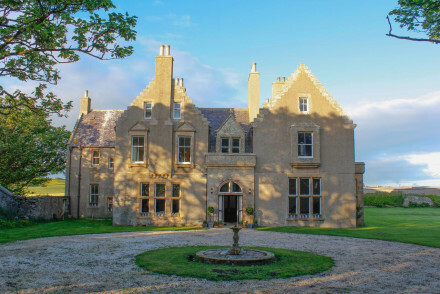 Graemeshall House has had many evolutions, firstly as a house built by the Bishop of Orkney in 1626, then as a museum and now as a guesthouse. The place exudes historic charm with ornate furniture, crystal chandeliers and antique beds. An Orkney oasis. Sights nearby - Visit the magnificent Standing Stones of Stenness and Ring of Brodgar. Great walks - The surrounding countryside is full of lovely walking trails.